Entry filed under: Main Dish. 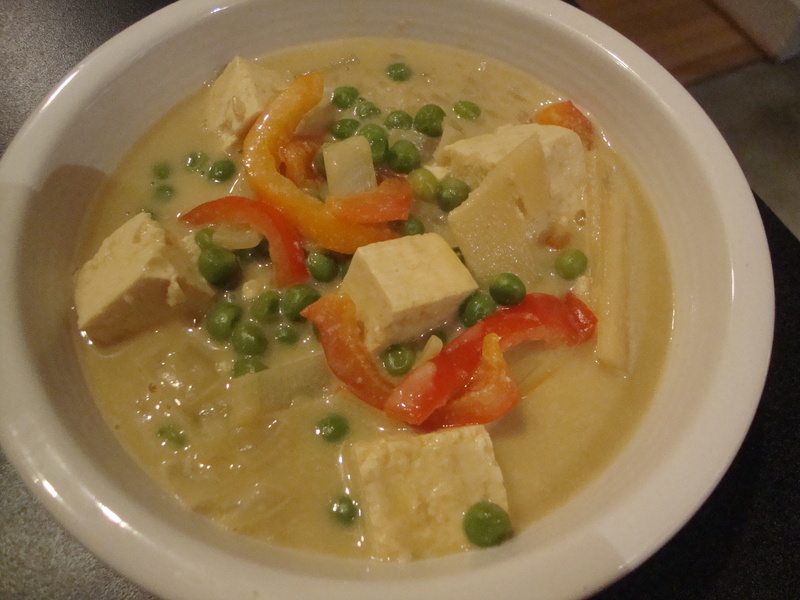 Tags: curry, tofu, vegan. It doesn’t have to be. Even putting in more than the recommended curry paste, it wasn’t all that spicy for my taste. That being said, if you’re super sensitive, start out with the half the amount, you can always add it at the end, little by little until you have what you want. Really, the recipe will work with yellow or red curry paste (or any) too, and some might be a little milder too. But don’t be afraid! It’s all up to you how much you put in!